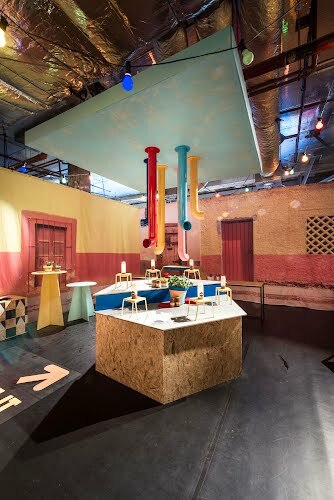 Popup restaurant design, production and fit-out. 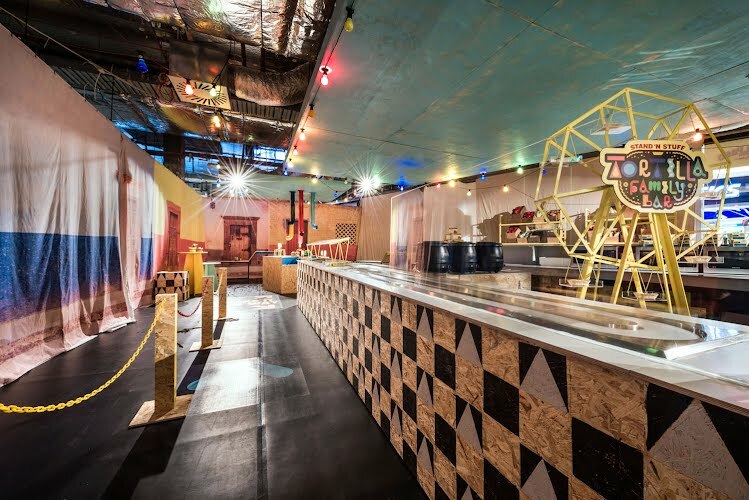 Working closely with the team at Taboo Moth was tasked with the job of creating a pop up Tortilla Bar for the launch of the Stand 'n Stuff Tortilla. 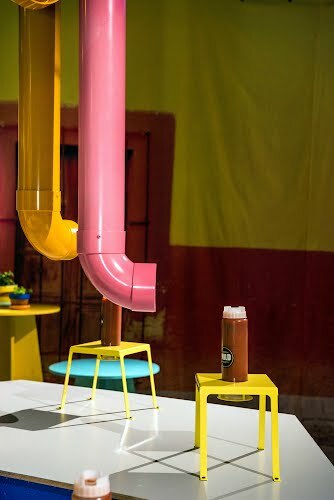 Creating an authentic, graphic, fun and kid friendly environment in an emtpy shell in The Strand shopping centre Melbourne. Every inch of the restaurant was custom designed, hand stenciled and made by Moth in our Brunswick studio. 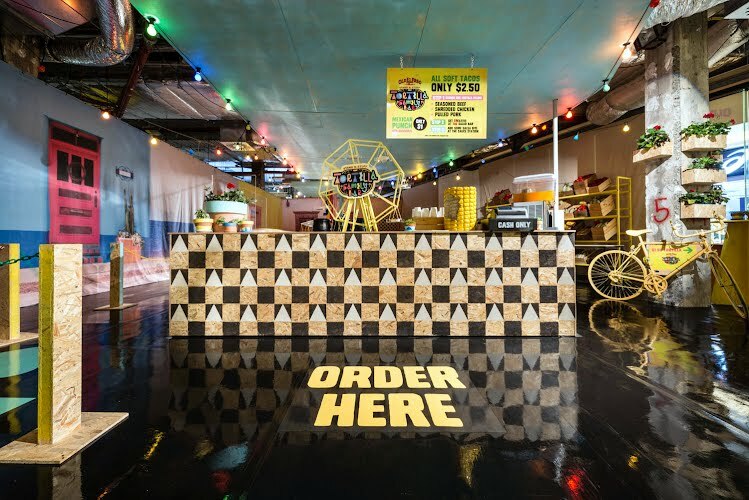 The space included canvas walls printed with views of colourful Mexican streetscapes hung on the periphery whilst a large service counter including a tortilla dispensing Ferris wheel, a sushi train for the delivery of the tortilla and a fun self serve toppings and sauce bar occupied the cenral space. The restaurant was standing room only - and such both kid and adult hight bar tables were created through the space so that families could eat comfortably together.